Twenty-something blogging about life, beauty, and all of it's misadventures. I've always been that person who hauls 3-4 makeup bags everywhere I went to make sure I had everything that I needed, could want, or a friend could borrow. Excessive, I know. So, now that I'm going to be backpacking through Europe (and a bit of Africa) for a month, I'ma need to 1. Learn how to pack a backpack with everything I need (the stress, you don't even know) and, 2. Find a way to minimize the number and size of items I'll bring for my makeup and skin care needs. Yes, this is coming from a girl who literally packs a medium sized suitcase and backpack to spend two days at her boyfriend's house. Options! I need options! Anyway, here we are. My first big trip is in less than a month and I don't have the slightest idea how to pack efficiently, but these are the essentials I've decided I can't go on a months vacation without! Throw away all of your lip scrubs. One time for the people in the back..
🗣 THROW AWAY ALL OF YOUR LIP SCRUBS! This right here, is the definition of game changing. I've got lip scrubs that I've sworn by for years, and not one of them holds a candle to this baddie. A lifelong friend of mine (Shades of Grayson) recommended it on her Instagram and I tell you, my stash of lip scrubs are all in the trash. My lips have, honest to God, never been so smooth in my life. I'm talking baby soft. For real. And all so effortlessly! You put it on with the little spatula at night, (it smells amazing) and wipe it off in the morning revealing incredibly soft lips. Note: LANEIGE just released new flavors, and I need all of them. Since I don't really wear foundation, concealer is a great tool I use to cover my hellish dark circles and any other minimal blemishes that try to mess up my skin game. I love this concealer formula because it is long wearing with a natural finish that's buildable to full coverage. Who doesn't love versatility? Now, I actually got this palette as a gift for my twenty-fifth birthday (S/O to Binx & Lala! Y'all know my skin!) and together, we have been killing the neutral-to-warm game! I can honestly say I've never bought eyeshadow palettes before because I refuse to spend money on shades I can't use-- whether they're unflattering or just don't show up on brown skin. Every single shade in this palette pops on melanin and the looks are killer! 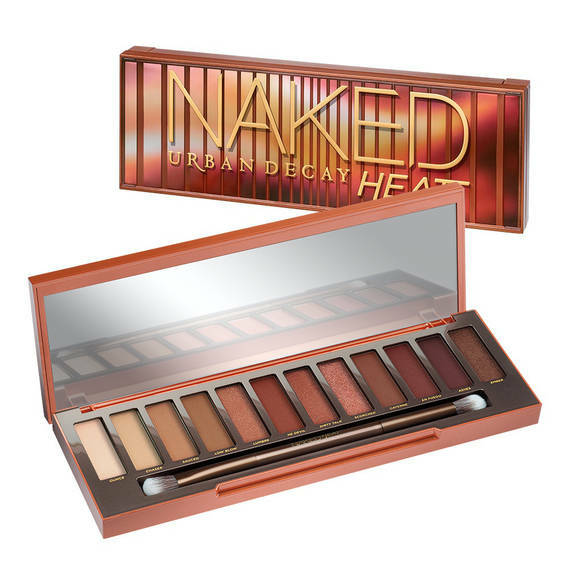 I'm considering buying the Naked Petite Heat ($29) -- comes with six shades, BUT none of the glitzy shimmers that I live for are included in the mini! To be extra, or not to be extra? Life is full of tough choices, idn'it? I have to thank my sister for putting me on the dual-tipped, one-swipe eyeliner game. Tom Ford's eyeliner pen is a game c h a n g e r. Full stop. While it is definitely a high price point for eyeliner, it is absolutely worth the splurge. And this one pen will last me, someone who wears eyeliner every single day, a year and three months before it starts to dry out. THATS RIGHT. YOU READ CORRECTLY. One year, and three months, BEFORE it starts to get spotty. I'd rather 'splurge' on one $60 liner that has an incredible shelf life than a $24 liner that I have to replace every 2 months. Bye, girl! I mean, I feel like this is an obvious one. Beauty Blenders are life. Oooooo girl! Laura Mercier has changed my life! I'll have to be honest, it took me a long time to grasp the concept of setting makeup. I never realized how much longevity my under-eye concealer could truly have. I never realized how long it could be flawless. I never realized that a tiny bit of powder on my forehead will keep the shine away for hours. I use this one in the Medium Deep finish because I want to keep the natural tone of my skin (no ghostly coloring here!). I use this as a setting spray more than anything else because it just melts my makeup into one cohesive, dewy, natural finish. Anyone who knows me knows I'm a lip-balm-or-bust kind of gyal. I never got into wearing gloss because it always felt too thick, sticky, and very messy, while somehow managing to dry out my lips. I need hydration! I've actually only seen Jackie Aina talk about this gloss on her youtube channel, and she was absolutely right. 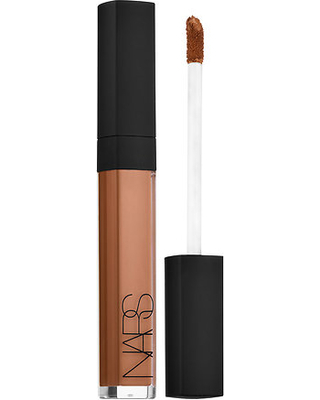 If you're someone who doesn't like to wear gloss, this is the gloss for you. I bought it in the shade Dirty Talk and it is soooo pretty! Sephora describes it as a 'metallic Burgundy with pink shimmer', and it looks super natural with a hint of shimmer. I'm actually super surprised at how well I've been able to limit the number of products I use on a day-to-day in preparation for this trip. Let me know which are your favorite products to travel with, and your most loved destinations! Get the tea on realness!